L'Chaim - In Hebrew, "Life" - This is my life! : Now that's teamwork! My goofy dad! I love him so much! What part of the turkey is this? Yum! 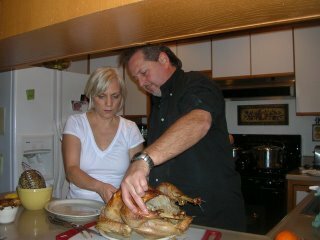 Happy Dad ready to carve the turkey!